Hello, I'm John Dancer, and welcome to my website. 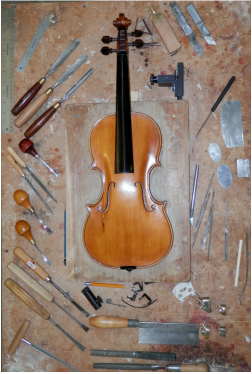 I've been making violins since 2002, after 15 years of woodworking and furniture making, both as a hobby and self-employment. I live with my wife and son in Damascus, Virginia, a small town on the Appalachian Trail and on the Crooked Road, Virginia's Heritage Music Trail, where I'm privileged to provide local and regional musicians with instruments they love to own and play. A commonly asked question I get is, "What makes a good violin ( or mandolin, guitar, etc,)?" Much research, speculation, and luthier lore invariably credit the wood and the varnish. I've personally come to the conclusion that what makes a good instrument is a good instrument maker, one who will always do his best work with the resources available, and who will always strive to make the next one even better. What I try to deliver to my customers is the best combination of materials, workmanship, and set-up, so the musician will be more than satisfied with the appearance, tone, and playability of his instrument. 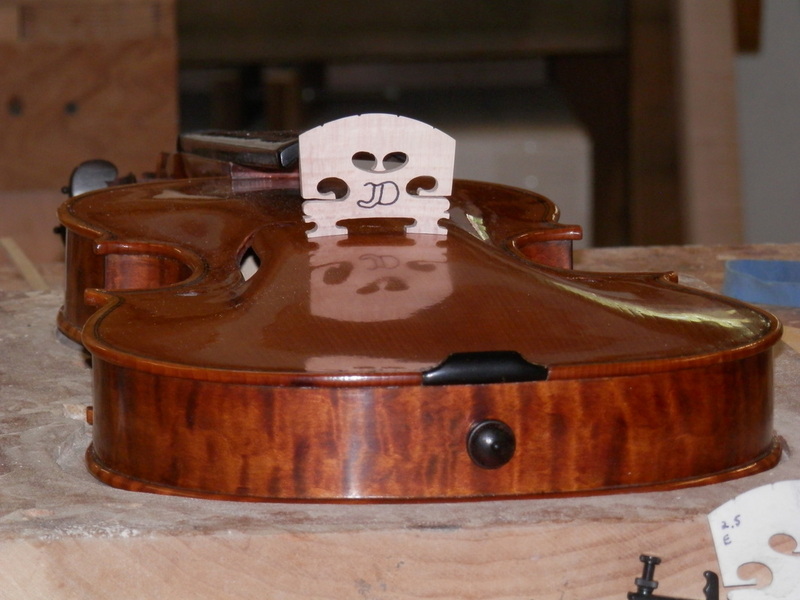 Mostly I make violins, but I also build 2-Point and F-5 Mandolins, and Dreadnaught and OM Guitars. I usually stick with traditionally accepted woods for my instruments, though always American grown, except on special orders. I also prefer to make wood bindings for my mandolins and guitars, to get away from the plastic look. Accessory woods are ebony, rosewood, and boxwood. Sources of my tonewoods are luthier suppliers, lumber yards, backyards, swamps, recycling, just anywhere I can find something useful. 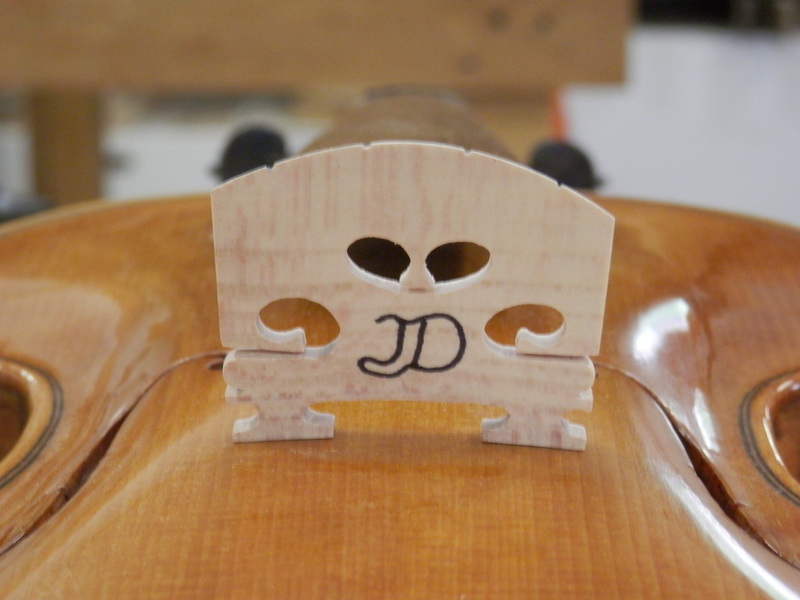 Currently, all of my instruments are made with White Top Mountain Virginia Red Spruce, and all of my violins come with an exclusive "John Dancer Dogwood Bridge." Also, I am willing to depart from tradition on occasion and make an instrument of something far from the standard, which often yields a pleasing result, such as cherry or hedge apple (osage orange). So, if you have some nicely figured firewood, barn timbers, or an old pallet with unusual color and grain, it could be made into a stringed instrument. Look around and I thank you for visiting. Content copyright 2015. John Dancer Violins. All rights reserved.